When, a decade ago, the independence of South Sudan became a serious option, it was politically correct to foster great illusions about its future. However, as Sudan itself was considered to be a failed state, there was a risk that simply dividing the country might create two failed states. In addition, a glance at the modern history of Eritrea, Ethiopia, Uganda and Rwanda reveals a pattern from which South Sudan could hardly expect to escape. In each of these countries, when victorious rebel armies took full political control, they established authoritarian regimes that remain in power decades later. As if these challenges were not serious enough, the SPLM-split of December 2013 provoked another man-made disaster for the people of South Sudan. Despite significant aid and resources, the SPLM was not able to keep its ruling coalition together. The international community provided support for education, health care and infrastructure, and the SPLM had more than enough oil revenue to prevent large-scale violence among its members. But it failed nevertheless. I do not wish to address the question of how a stable coalition around the SPLM could be rebuilt, but rather, how the South Sudanese can come to terms with the fall-out from the ongoing civil war, which has pushed the ethnic dimension to the forefront of the power struggle. There is broad agreement that since the SPLM-split of December 2013, ethnic cleavages have taken a dramatic turn for the worse. A superficial conclusion might be that the project of nation-building has suffered a serious setback. But it seems more appropriate to question the very concept of nation-building, since these efforts turned a blind eye to the great ethnic diversity of South Sudan or assumed that tribal identities would automatically fade away. In South Sudanese society, however, tribal identities play a significant role. A huge majority of South Sudanese know exactly to which tribe (or ethnic community) they belong, and this social identity has direct consequences on their lives: whom to give a job, whom to marry, whom to trust, whom to ask for protection and whom to fight. Tribal communities, for instance, are even more powerful civil society actors than churches: tribal identities are more likely to divide a church community than churches are to divide a tribe. 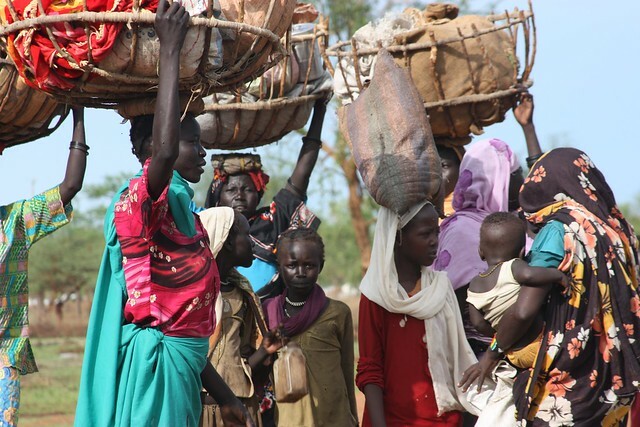 There are one hundred clearly identified ethnic communities which call South Sudan their home. Political stability has to be built on peaceful coexistence among them – rather than on the burial ground of tribal identities, as public opinion implicitly suggests. Therefore, the way forward in these difficult times is to focus on building bridges between tribes. Tribal communities need a degree of formal recognition and institutionalization that can reinforce the bridges between them. Ethnic communities require some internal cohesion to reach and implement agreements with other tribes. However, ruling elites are often reluctant to go down this road out of fear of power competition, and Western donors tend to perceive traditional institutions as an obstacle to their modernizing agendas. To properly understand the role ethnic communities play in power struggles such as these, we have to ask: are tribes the cause of the new civil war in South Sudan – or are they the victims? Did tribal leaders order the first shot to be fired and did tribal councils escalate the violence? Or were they just too weak to resist the manipulation of military and political leaders? This consideration makes it crucial for tribal groups to receive protection against external manipulation. This implies a healthy distance from other powers in the country and runs against policies of ‘divide and rule’ so masterly executed by ruling elites in the past. Finally, ethnic communities also need protection against internal manipulation, since both self- and externally-imposed tribal leaders are tempted to hijack their own communities. Accountability within tribes ultimately provides the best safeguard against this danger. Traditionally, ethnic communities in South Sudan have had their own ways of holding leaders accountable. Although decades of war and militarization have inflicted great damage, there remains a rich heritage of good practice to be recovered and revived. However, Western donors have yet to grasp the importance of intra-tribal accountability, which is not only of great value for intra-tribal affairs but of equal relevance for the success of the wider goal of good governance. Building bridges between tribes implies mutual recognition among ethnic communities. It means a growing web of local and regional agreements between them. It enables ethnic communities to better protect themselves and their members and to restore social capital lost in the on-going civil war. Above all, it may empower ethnic communities to contain tribal fires in the future. Yet it remains a big challenge. For one thing, the ruling coalition would want to police such bridges. For another, Western donors burdened by a prejudice against tribes are scared of ideological contamination.